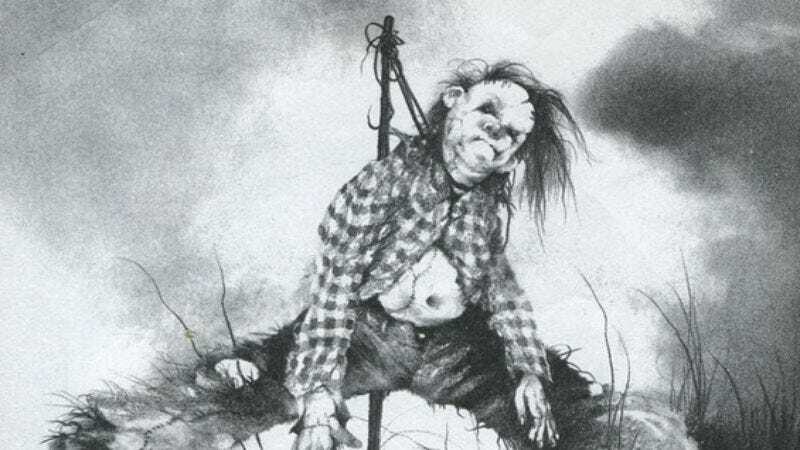 In a shocking departure from the vast majority of projects that Guillermo del Toro’s name is attached to, it sounds like the big-screen adaptation of beloved/hated children’s book Scary Stories To Tell In The Dark is actually happening. This comes from The Hollywood Reporter, which says that Lego Movie writers Dan and Kevin Hageman have signed on to write the Scary Stories movie, which—at the very least—means that the project is definitely moving forward. The Hagemans previously worked with del Toro on Trollhunters, his upcoming Netflix show, and they’ve also written for Lego’s Ninjago TV show and the first Hotel Transylvania movie. None of those things are especially scary (Trollhunters is going to be a kids show), so their horror credentials have yet to be proven, but the Scary Stories movie will still be unbelievably terrifying if it’s even a little reminiscent of the original Stephen Gammell art that made the books so frightening. Also, though del Toro is hoping to direct Scary Stories, he’s still just a producer at this point.